Tra-la-la-la-la… oh how I love Christmas! And all that Christmas brings. 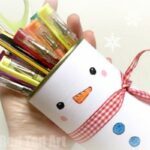 One of our favourite crafty activities at this time of year (as you may well know already!!!) 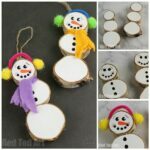 is making Christmas Tree ornaments we also rather adore Easy Snowman Crafts and we ADORE DIY Ornament Ideas . I don’t know WHY I love homemade Christmas decorations so much, but I do. 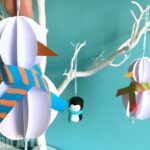 Maybe because they tend to be small and cute and you can make lots and lots and lots of them and then ooh and aah at them when they are hanging on the tree! 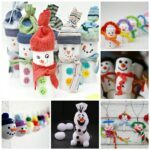 I also think that homemade Christmas Ornaments make for lovely little gifts to friends and family and look gorgeous as part of your gift wrap. 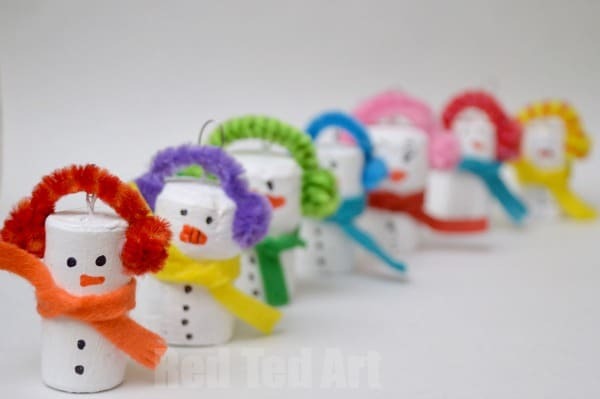 So today… we have some cute little Snowmen Cork Ornaments. In fact, they are a bit like a set of RAINBOW Snowmen. Perfect to add some colour to the season! They lovingly with our Santa Corks from last year! 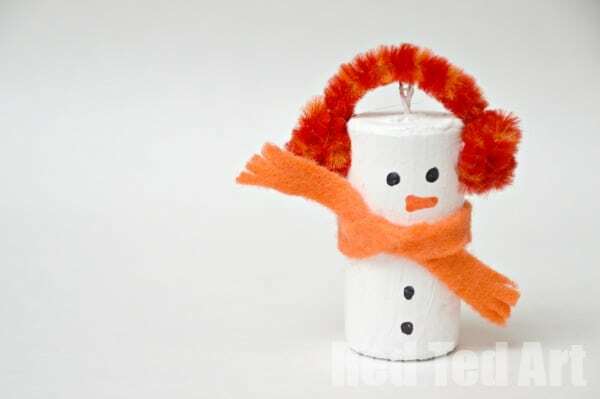 And there are many more Festive Cork DIYs here. 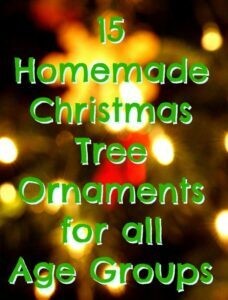 Check out our other Christmas Decorations – we have last years 15 Christmas Ornaments and a further set of 15 Christmas Ornaments here! LOTS to choose from and more to come through this year’s Season! And here is an example how you can “dress up” some homemade cookies with some cute ornaments as a lovely gift. We have both a how to video and step by step photo guide… choose the method you prefer!! 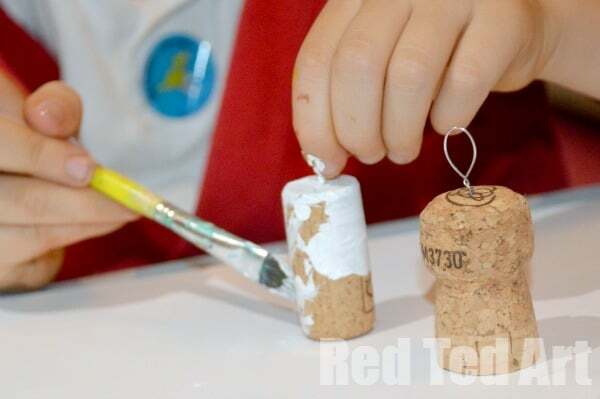 1) We began by adding the craft wire to the top of the corks, to allow for a little “handle” to hold whilst painting. Also means you can your corks up to dry if you want. 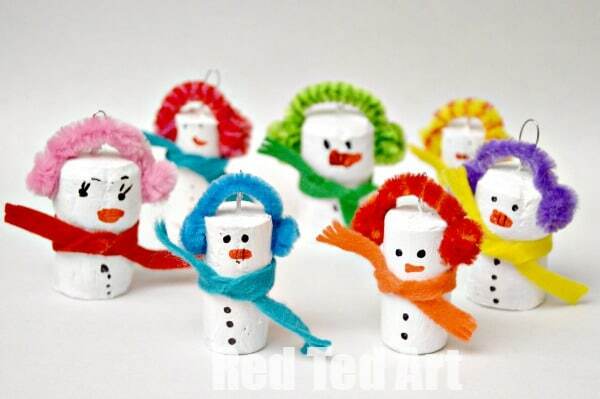 2) Paint your corks white. 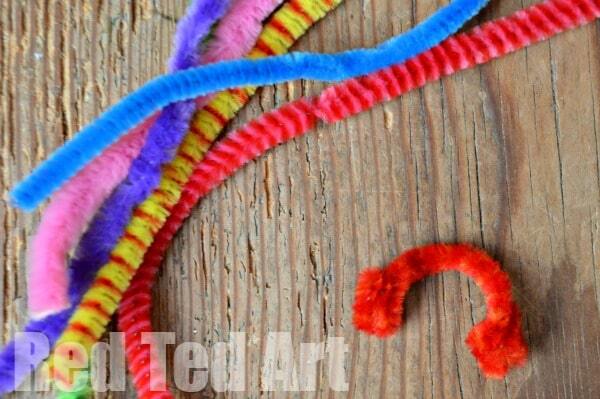 3) Once dry make some pipe cleaner earmuffs – twist the end into a snail like curl. 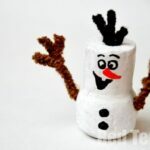 Measure your cork to see how much you need to “go across your snowman” and then twist the other end into another ear muff. Cut any excess off. 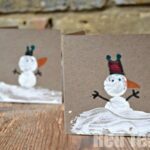 We glued ours in place with a hot glue gun as the kids were impatient to get them finished. 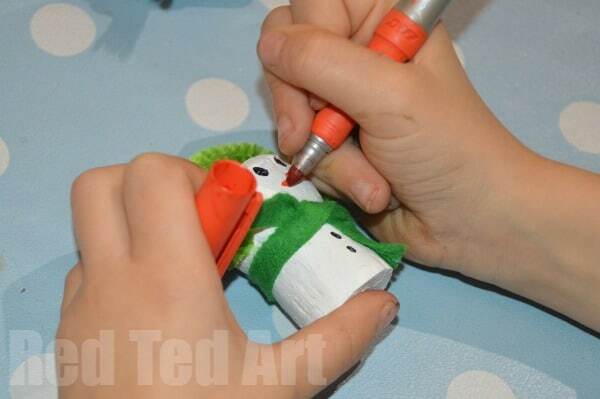 4) Cut a thin strip of felt and wrap around the snowman – a great time to practice a “simple knot”. Cut some tassles into the end. 5) Now you can add the snowman’s face, nose and buttons. And done! 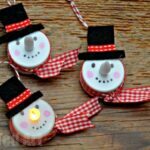 Stand back and admire adorable little Snowmen Ornaments!! Woohoo! 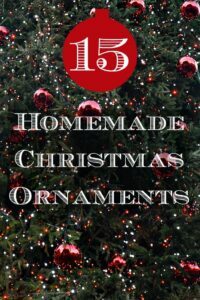 Don’t forget to check out our other Christmas Decorations – we have last years 15 Christmas Ornaments and a further set of 15 Christmas Ornaments here! That should keep you busy!!! 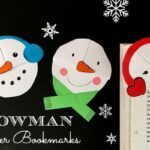 Or take a look at these Snowmen Crafts Place settings! 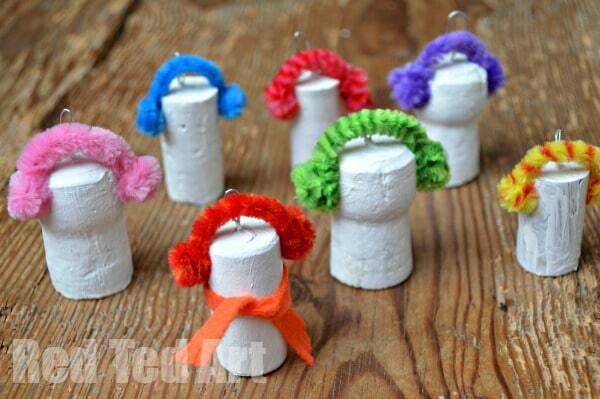 And more more more DIY Ornament Ideas here!